On March 21, 2019, the President signed a wide-ranging, executive order intended to address the nation’s student loan debt crisis and the exercise of free speech on campus. In the executive order, the White House announced that the U.S. Department of Education will make good on its proposal last year to dramatically increase transparency in the federal student loan program in order to provide more information to borrowers and prospective borrowers. The Department will also examine reforms that would (1) require colleges to share the risk of defaulted student loans with the federal government, (2) improve the collections process, and (3) increase college completion rates. Last year, the Education Department proposed to rescind the Gainful Employment Regulations that were issued by the prior administration. The Department’s proposal would replace burdensome disclosure and accountability requirements aimed almost exclusively at colleges that are operated as for-profit institutions. Public and non-profit institutions were largely exempted from the regulations. In their place, the Department proposed to publish program-level and institutional-level data for every college on its College Scorecard website, or a successor website, about loan debt, graduate earnings, and loan repayment rates. Although the Department has not yet published a final rule on its proposal, the executive order signals that it is coming. Other student loan reforms are also coming. By January 1, 2020, the Secretary of Education will report to the White House on ideas to implement a risk-sharing approach to federal student loan debt. The idea behind the risk-sharing approach is to require the schools that benefit from receiving federal dollars in the form of student loans to have some skin in the game by sharing the financial loss suffered by the government when loans default. Various risk-sharing proposals have been made in recent years, including an oft-cited proposal set forth in a report issued in 2017 by The Hamilton Project of The Brookings Institution. Indeed, the Senate education committee even held a hearing on risk-sharing approaches in 2015. The Secretary will also report on ideas to reform the collections process. Today, the Department has two primary ways to collect money on defaulted federal student loans: Treasury offset and wage garnishment. A Treasury offset involves the Treasury Department withholding money from federal income tax refunds, Social Security payments (including Social Security disability benefits), and other federal payments. In a wage garnishment, the Department orders a borrower’s employer to withhold up to 15 percent of the borrower’s disposable pay. It is also very difficult to have federal student loans discharged in bankruptcy. In addition, the Secretary will examine the issue of college completion rates by compiling information from successful state-government efforts and efforts by the colleges themselves to encourage students to persist in their educational pursuits toward graduation. The executive order specifically mentions policies relating to transfer of credit and degree completion by transfer students, as well as dual enrollment programs, i.e., high school students taking college courses while still attending high school. 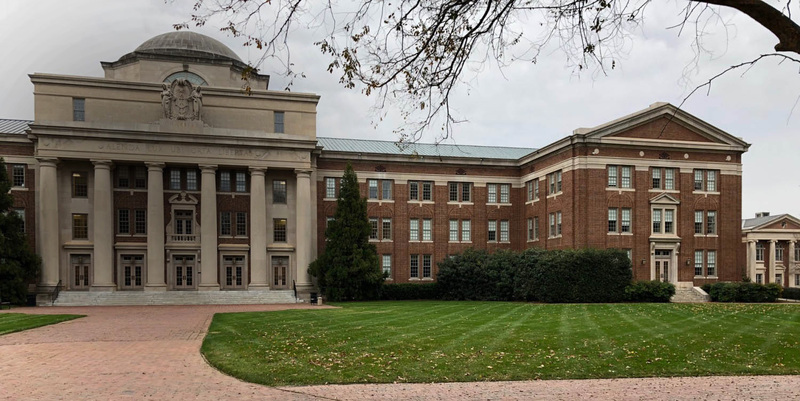 Acts of intimidation in connection with the invitation of provocative speakers to college campuses — and acts of intimidation between and among college students and professors of differing political affiliations – have grabbed headlines. As a result, the President has directed federal departments that fund research and education grants to colleges to take “appropriate steps” to ensure that the recipients of such grants “promote free inquiry, including through compliance with all applicable Federal laws, regulations, and policies.” The directive does not encompass grants associated with federal student aid programs that cover student tuition, fees, or stipends. This is a new area for the federal government to enter, so it remains to be seen how the directive will be implemented. The relevant departments may issue a joint regulation or policy statement requiring recipient colleges to have policies respecting “free inquiry” and to take measures to implement those policies. These proposals and directives for policy ideas are thought-provoking efforts to address some important issues in higher education today. They impact college students and faculty, as well as the 44 million borrowers who owe $150 trillion in student loan debt. While every student loan borrower should proactively conduct a cost-benefit analysis when selecting a college or program, the nation’s colleges share responsibility and may soon share the financial risk, as well. Colleges would be well-served to implement policies that promote less debt, increased earning potential, program completion, and free speech. Jonathan A. Vogel, a former deputy general counsel with the U.S. Department of Education and a former federal prosecutor, is the managing attorney of Vogel Law Firm PLLC, an education law firm focused on legal issues that arise in K-12, higher education, and student loans. Categories: Higher Education and Student Loans.